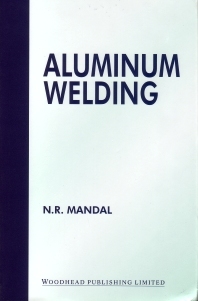 General characteristics of aluminium; Surface preparation guidelines; Joint design and edge preparation; ARC welding power sources; Welding parameters; Electrode wires for GAS metal ARC welding; Electrode feeder and gun; Shielding gas; ARC characteristics; Weld backing for GAS metal ARC welding; Welding procedures; GAS tungsten ARC welding; Welding procedures; Welding defects; Advantages of GAS metal ARC welding and GAS tungsten ARC welding; Selection of process; Welding distortion; Residual stress. This publication is a comprehensive book on the welding of aluminium, aimed primarily at practising engineers and students of welding technology. After describing the properties of wrought and cast aluminium alloys, their applications, alloy designations and composition, both in heat-treatable and non heat-treatable alloys, it goes on to explain the process variables in weld metal transfer mechanisms, the ways of overcoming problems in GAS tungsten ARC welding, and distortion – also providing numerical methods of analysis. A thorough and timely guide to all aspects of aluminium welding.